We’d love your help. 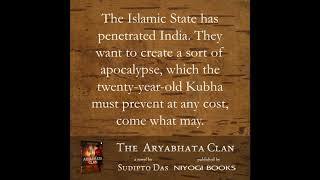 Let us know what’s wrong with this preview of The Aryabhata Clan by Sudipto Das. The Islamic State has spread its tentacles in India, penetrating stealthily into the academia, media and politics. The mastermind is Shamsur Ali, a physicist from Bangladesh. To destabilize India, he wants to create a sort of apocalypse, which the 21-year-old Kubha must prevent at any cost, come what may. In a brazen attempt at legitimizing the demolition of one of the most The Islamic State has spread its tentacles in India, penetrating stealthily into the academia, media and politics. The mastermind is Shamsur Ali, a physicist from Bangladesh. To destabilize India, he wants to create a sort of apocalypse, which the 21-year-old Kubha must prevent at any cost, come what may. 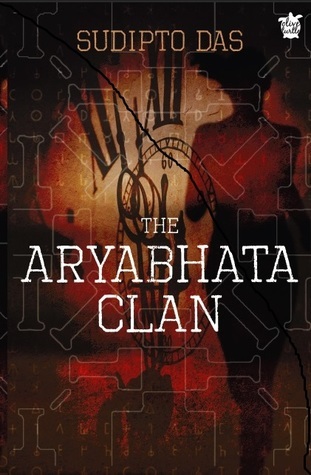 To ask other readers questions about The Aryabhata Clan, please sign up. Let me start this review with recommendations. This is the perfect book for fans of detailed reading. It is a great mystery thriller backed up with facts, figures, and diagrams and connects instinctively with logical minds. With a focus on some major social issues like politics, communalism, and terrorism, this book also comes with a social message of how unethical groups use the weakness in individuals to exploit them and later their countries. There is no dearth of books with a similar premise where ancient symbols are used to discover and thwart some major terrorist activity. But Aryabhata Clan is different from the lot. It uses cryptography that is a mix of symbols, music, and rugs. The techniques used are very ingenious. I found myself trying to figure out the clues in the diagrams and making calculations to solve the riddles. The effort put by the author in this work is commendable. And I can easily say that well-researched facts are the USPs of this book. But details can also lead to confusion sometimes. There are so many scripts and languages mentioned in the book, I had to go back and cross check them multiple times. I am not saying that is a bad thing because I like challenging books. I just had to keep my eyes peeled for details and connections. One can easily get lost if any link is missed. Coming to characters, I loved the fierce female protagonist, Kubha. She undergoes soul-numbing atrocities at the hand of terrorists but her will to serve her country and her family keeps her going. She is not encumbered by the societal rules and her relationship with Parush is not conventional. But her parents, Afsar and Kratu, always support her and help her chose the right way. There are a host of other major and minor characters. I suggest keeping a track from the beginning lest they get muddled. The narrative is very engaging but can get a little repetitive or verbose at times. Also, I found it difficult to keep track of all the Urdu words. Thankfully, Sudipto has provided English translations along with them. However, the book keeps you glued and turning pages until you reach the end. There are a series of deductions and ideas towards the end that I do not completely agree with. While the author has tried to show a united India, separating parts of it was something I did not find cool. I may be biased because I belong to those parts but I would not have been entirely convinced even otherwise. This is opposite to how I feel for the rest of the book. But I realize that everyone thinks differently and it is impossible to appease the varied readers an author gets. And that’s perfectly okay. In the end, I had a great time going through this 450-page book and that’s what matters! I also did a video review on Instagram for this book on my stories and I am attaching the video link here. It was my first attempt at it. Do let me know if you like the format. My first thought after I finished reading this book was that the author had aimed to achieve what Ashwin Sanghi does with his books and failed. The premise of the book is that anti national groups and outfits have managed to make their way into the country and is trying to destabilize India. Kubha is the only one standing in their way. Sounds simple enough. But the plot also incorporates a lot of history, epigraphy, mathematics and different ideologies. Now that makes it sound interesting, doesn’ My first thought after I finished reading this book was that the author had aimed to achieve what Ashwin Sanghi does with his books and failed. The premise of the book is that anti national groups and outfits have managed to make their way into the country and is trying to destabilize India. Kubha is the only one standing in their way. Sounds simple enough. But the plot also incorporates a lot of history, epigraphy, mathematics and different ideologies. Now that makes it sound interesting, doesn’t it? The Aryabhata Clan is a mystery-thriller novel written by Indian author Sudipto Das and published by Niyogi Books. It is author’s second novel after The Ekkos Clan. Islamic state is spreading its tentacles in India, penetrating stealthily into academia, media and politics. Three men have been brutally murdered. All these terrorist activities are headed by mastermind Shamsur Ali, ex-professor of physics at Dhaka University. He aims to create a sort of apocalypse to destabilize India. Crux of the The Aryabhata Clan is a mystery-thriller novel written by Indian author Sudipto Das and published by Niyogi Books. It is author’s second novel after The Ekkos Clan. Islamic state is spreading its tentacles in India, penetrating stealthily into academia, media and politics. Three men have been brutally murdered. All these terrorist activities are headed by mastermind Shamsur Ali, ex-professor of physics at Dhaka University. He aims to create a sort of apocalypse to destabilize India. Crux of the story lies in a verse composed by Indian mathematician Aryabhata. The main protagonist of this thrilling tale is twenty years old Kubha who has to work together with Afsar, Parush and Kratu to decode this complicated riddle. She is the only one who can save India from this impending doom. First thing that hit me as a reader is the extensive amount of research Sudipto has done to write this book. Story is full of thousand year old carpets, perplexing messages, mysterious manuscripts and cryptic codes. To make things more interesting author has also included many ancient Indian languages. Truly speaking, it’s not an easy task to connect all these details together as there is always a chance of loophole. Yet author has wonderfully merged all the details with fiction. The delightedness of reading a book depends on very few factors. One of them is how the plot unfolds in front of the reader and his mind. Afterall, every story has some of it. Without a storyline, a book or a novel is spineless. Sudipto Das' latest work, The Aryabhata Clan is a great example of why storyline matters. The Islamic State has spread its tentacles in India, penetrating stealthily into the academia, media, and politics. The mastermind is Shamsur Ali, a physicist from Bangladesh. To destabilize India, he wants to create a sort of apocalypse, which the 21-year-old Kubha must prevent at any cost, come what may. Much of the plot involves Kubha. The book is murder mystery at the top and that brings the element of thrill on the table. The interesting thing about the plot of this book is the amount of research author would have gone through. He has touched not only history, but linguistic, paleontology, and politics. There is a good amount of illustrations that explain the concepts involved in this novel. The writing style is good, mostly involves third person narrative. The characterization in the novel does try hard to cope with loads of information and to advance the storyline at the same time. This does make few parts feel like a drag, but without these characters, this novel would not have been intriguing to read. The length of the book is around 470 pages and I think it is perfect. I appreciate the effort author has put in creating a world of his own. This is what I want to see to in Indian Fiction and I am being outspoken about it for years. The thrill along with in-depth research sounds like pre-The Lost Symbol Dan Brown?). I do think the writer did try to satisfy most of his readers but with complex structures, you cannot and that is okay with me. This book should appeal to anyone who enjoys reading thrillers. It starts with a plot to create disturbances in India. In order to prevent that, the main characters- Kubha, Afsar, Parush and Kratu have to work together as a team to crack a complex riddle. This will require them to draw upon their logical skills as well as Afsar's considerable knowledge about ancient India. The book describes several interesting facets about Indian history- such as how languages evolved in the subcontinent and ho This book should appeal to anyone who enjoys reading thrillers. It starts with a plot to create disturbances in India. In order to prevent that, the main characters- Kubha, Afsar, Parush and Kratu have to work together as a team to crack a complex riddle. This will require them to draw upon their logical skills as well as Afsar's considerable knowledge about ancient India. The book describes several interesting facets about Indian history- such as how languages evolved in the subcontinent and how they are still related. It also talks about cultural linkages between several peripheral regions of India. It is obvious that the author exerted a considerable effort for such meticulous research. I am a history buff but there are many things mentioned in the book that are new to me. One challenge in writing books of this genre is that the author sometimes has to deviate from facts- otherwise, this would have been a book on history. This has been done so well that it is hard to differentiate facts from fiction. That speaks to the author's skill in narrating this story. I thoroughly enjoyed reading this story. One advice for future readers- there are several diagrams in the book to help the reader. Please pay attention to them because they are of immense help in understanding the riddles. > Character building and helping each other to solve this mystery. > Amount of research author has done to write this, has definitely paid off in this novel. > Multiple issues were given equal importance. > The ways to encrypt message is what I felt like learning after this. > Taking a real event like Taj Mahal named as Tejo Mahalay and building story around it. is Commendable. > Women in book are shown so much strong head and heart wise. > The story sometimes when into to much depth, & descriptive. I was unable to follow it. > Starting a book with uneventful scene make me leave this book for a day until I was all prep for it. > Sometimes there were places and time traveling which confused me. The Aryabhata Clan by Sudipto Das is a historical fiction novel with an essence of science fiction and mystery. The plot revolves around Dr. Shamsur Ali , a physicist from Bangladesh who wants to destabilize India. The Islamic State is spreading at a rapid speed within India , creeping silently within politics , media and academics. Kubha , a 21 year old female must stop him and save her nation at any cost. At the centre of all this enters Aryabhata , a mathematician. The plot blew me off. A one o The Aryabhata Clan by Sudipto Das is a historical fiction novel with an essence of science fiction and mystery. The plot blew me off. A one of it's kind that involves science fiction combined with mystery and as the story progresses we find cryptography that involves solving the case using symbols and diagrams. My detective side played along the plot and tried solving the riddles that came along. This approach towards writing hooked me to the book till the end. The writing style used by the author is lucid and fully analyzed. It clearly shows how well the author has researched about the historical facts which makes it the USP of the book. However , with such detailed parts also comes confusion. I had a little hard time remembering what was going on and had to flip some pages to get a hold on the story again. Nevertheless , it made the whole reading experience all the more interesting. Coming to the characterization , I was extremely happy to see a leading female protagonist. Kubha is a fierce lady , adamant to save her nation despite the circumstances that she goes through. All in all , a perfect blend of three diverse genres that has the power to become a best seller. Extending beyond these details, this is connected to the ideological heart of the novel, which is one that I personally find very problematic. The novel identifies ISIS and Islamic fundamentalism as being at the heart of all evil in India and globally. The best part of the book is that it has handled many aspects of Indian history, culture and heritage in a very interesting and readable way. (1) Written by western researchers, which are no doubt among the best available for academic purposes, but lack some local flavour which only an Indian, who has grown up with Indian values and culture, can realize and hence write about better. (2) Written by some Indian researchers, The best part of the book is that it has handled many aspects of Indian history, culture and heritage in a very interesting and readable way. (2) Written by some Indian researchers, which more often than not remain a chronicle of some bloated claims like Indian civilization is 10,000 years old, that the ancient Indians knew about quantum physics and the theory of relativity, and that anything good that has happened to the world is courtesy India. Most of these books rely heavily on Indian scriptures whose historical authenticity is dubious. There are not many Indian writings which take a middle path. And that’s what is adopted by Sudipto in his debut novel. Very wonderfully he has presented the Indian history in a very authentic way, without getting swayed away or being preachy. In most places he has implicitly provided authentic sources. In the book "The Aryabhata Clan" Author Sudipto Das takes us to a long journey to find the mystery behind the kidnapping of its sole protagonist Miss Kubha Sen, who was kidnapped by a dreaded group of terrorists operating across South Asia, more particularly the agents of the Islamic States (ISIS). Mr. Parush, an intelligence officer close to the fictional PM Indar Sinha, took charge of finding her from the hold of kidnappers. The story begins at Jawaharlal Nehru University (JNU), while the central characters move across the cities in the sub-region, namely, Delhi, Agra, Kushawar, Calcutta, Kandy (Sri Lanka), and Peshawar (Pakistan). The book gives us a detailed description of the Hasht Bihisht, literally meaning "eight heavens" in Persian. Hasht Bihisht became a central place, where the mystery accumulated to treat us with detailed information about the Persian architectural floor plan consisting of a central hall surrounded by eight rooms. Although JNU becomes a fortress in this fiction, the disappearance of its student Kubha could not be circumvented (and present university admin now probably emulates the security measures reported in the book!!!). The book also describes a host of oriental secrets centered around the intangible as well as intangible cultural heritage objects, such as motifs in Kushawari rugs & Peshawari carpets, Kushawar manuscripts, substructure & tunnels under the Taj, and so on. This makes the book a bit technically elaborative. The Aryabhata Clan is one thick book and it took me almost a month to complete it. Yes, a month. To top it, I hit a reading slump so, it was harder for me to push through it and complete the book. I was like, Girl, you NEED to WRITE the damn thing! The review was getting so delayed…like, so much for my own liking since I always stick to deadlines (of mine). Phew, finally done with it! The author, Sudipto Das has another title to his credit, The Ekkos Clan which was well-received by the readers. Given the chance, I would really like to read that book too since, I happened to like The Aryabhata Clan. Das has crafted a really complex storyline in The Aryabhata Clan and I can’t even imagine the amount of research he had to do to create the plotline to what it is now. He has combined history, mystery and thriller. Published by Niyogi Books, this book features a female lead protagonist which I was really happy about. Female leads are very rare to find in books these days but the twenty year old Kubha was one hell of a female lead. The plot stars Shamsur Ali, the antagonist, who is hell-bent on destabilizing India and wants to create a apocalypse. A physicist from Bangladesh, he is the mastermind behind plotting everything and his group of people sees to its execution. So, the plot has a Hindu-Muslim thing going on but the good thing is the author doesn’t point his fingers to a particular religion of the either two. He has Hiranyagarbha Bharata, a radical Hindu outfit and the Islamic State on the other side. At the heart of the plotline, there are three more characters Kratu, Afsar and Parash who helps Kubha in decoding the verse composed by the mathematician, Aryabhatta, about 1,500 years ago which holds the truth about all the unburied secrets and which can also save India from being sabotaged by Professor Ali’s mind games. The story begins in present time Delhi but then heads back in time where the story starts in the past. In Kubha’s journey of reaching to the heart of the situation, the plotline is lined up with three gruesome murders, including the death of her father. There’s another interesting factor : A magic carpet (unlike that of Aladin’s) which had a lot of hidden information in its structured motifs. Kubha’s father might have had information of the carpet for which he gets killed. An extensive amount of history, politics and paleontology went into the making of the plot and the characters. Since the backdrop is of a time when the Islamic State has crept into India, penetrating into its academia, media and politics, the characters representing the Islamic State holds extremist beliefs and are shown to be bigots. There is also this historical structure of India at the centre around which the story revolves. The writing style of the author is definitely descriptive where he goes on to describe every single detail and always justified his thoughts in the narrative. There’s a lot of history in this book and history has never been my favourite subject back in school but I didn’t find all those historical details to be boring much. Maybe because the author used actual facts and figures and diagrams to explain everything. Bringing in the Aryabhata verse was another interesting part of the book. I loved the language in this book. It was neither easy nor hard to understand. There were no grammatical errors that I found. My inner Grammar Nazi was doing a happy dance. It was a perfectly polished work of fiction. As I have already said, the book is quite thick and has a lot of facts and figures. A lot of explanations and detailing. At some point, I did find myself overburdened with so much going on in the plot mostly in the beginning. I was having a hard time finding out what the story is all about but eventually I did understand the story. I had to take breaks while reading and it took me a lot of time to complete reading this book. I am not saying that the length of the book is a bad thing but yes, some readers can find it a bit boring. At times, I did feel that a lot of information has been included which could have been otherwise used to a minimum amount. A well-researched, thought-through plotline with a compelling lead protagonist. If you’re into mysteries, thrillers and crime fiction, definitely go for this but be warned there’s a lot of history and a lot of details in the storyline. The Aryabhata Clan by Sudipto Das is his second mystery novel after The Ekkos Clan, and it gives off a rather Dan Brown-ish feel. Sudipto’s thorough and meticulous research on ancient Indian history coupled with facts and statistics about our history some 1500 years ago are testimony to his great storytelling techniques. The author’s ability to dive deep into the meanings, and produce coherent content from every theme is commendable. The book has various themes, and deals with a lot of topics tha The Aryabhata Clan by Sudipto Das is his second mystery novel after The Ekkos Clan, and it gives off a rather Dan Brown-ish feel. Sudipto’s thorough and meticulous research on ancient Indian history coupled with facts and statistics about our history some 1500 years ago are testimony to his great storytelling techniques. The author’s ability to dive deep into the meanings, and produce coherent content from every theme is commendable. The book has various themes, and deals with a lot of topics that look intimidating at first but eventually start making sense. There’s the Islamic fundamentals who have terrorized the nation, poisoning into the country’s media and academics headed by the mastermind Shamsur Ali, ex-professor of physics at the Dhaka University and former president of the Bangladeshi Academy of Science, who aims to bring about an apocalypse. There are 1000 year old carpets with mysterious motifs, and symbols, manuscripts that are as old as time written in the Prakriti language, with cryptic messages, and at the heart of the book is a verse composed by the mathematician himself; Aryabhata. Not just this, the author has also narrated a fine blend of Indian culture and languages. Our protagonist, Kubha, a brave and courageous 20 year old, undergoes horrible circumstances to protect her nation from an impending disaster and for the preservation of a beautiful monument. We have her mother, Asifa, a linguistic paleontologist, her grandfather, Faraz, maker of carpets with mysterious motives who was murdered suddenly. Although I enjoyed reading the book, the information was too much for me to grasp. I was expecting it to be more fast-paced, and quick. Since the book deals with a LOT of topics at the same time, it became dry in some parts. Given the nature of the book, I understand that the technical terms were a necessity. It is an unconventional book; but if you get the hang of it, you will enjoy the read. first of all, let me thank the author for sending the copy of the book to me. the book is the story of intrigue and betrayal with the hues of bloodshed and mystery. the Islamic state has grown its tentacles throughout India and kubha, a young girl tries to save her country from an impending danger and in turn also saves the destruction of a precious monument. the plot is gripping and even captures you till the end. the book involves a lot of information from history, science, linguistics, carpet first of all, let me thank the author for sending the copy of the book to me. the book is the story of intrigue and betrayal with the hues of bloodshed and mystery. the Islamic state has grown its tentacles throughout India and kubha, a young girl tries to save her country from an impending danger and in turn also saves the destruction of a precious monument. the plot is gripping and even captures you till the end. the book involves a lot of information from history, science, linguistics, carpet making and yes even beliefs and politics. the narration is even thrilling and intriguing. the way the author pens down each scene- which involves a lot of history- without making it boring even captivates you a lot. taking about the writing and characters, the characters are very well etched out in the book and one can easily find all of the info about them as the book proceeds. the writing is simple and lucid and that even makes the book a fast read. what I did not like about the book were three things, the first thing being that some parts due to its intense research turns dry and sluggish which can surely bore you out. Since the book involved a lot of topics, it did feel like there was too much going on. the second thing was that the novel identifies ISIS and Islamic fundamentalism as being at the heart of all evil in India and globally, and this thing I guess can knock out some people's beliefs and thoughts. Oh my God, loved this one. Books are the actual time turners, how true is that! Sudipto Das’s Aryabhatta Clan is a perfect example for the same. The book starts with modern india timeline and takes us back to 1500 odd years behind in a rollercoaster ride. The narration is utterly gripping from the very first page. This book deals about some major issues like politics and terrorism. We see the masterminds controlling and exploiting individuals to fulfill their desire in a cruel way. Kubha is a bold Oh my God, loved this one. Books are the actual time turners, how true is that! This book deals about some major issues like politics and terrorism. We see the masterminds controlling and exploiting individuals to fulfill their desire in a cruel way. Kubha is a bold protagonist, a fictional woman who I have started admiring so much. Her character is crafted so carefully in a beautiful way. The storyline is projected well and blended with all acts and characters in a captivating manner. The narration is pretty detailed complimenting the figures and facts that are well researched by the author. Though I am not a fan of descriptive narrations I liked this one… it helped me understand the plot better and it was interesting to try solving the riddles parallely within myself as I progressed. The content was well defined and I had a lot of facts to take away. I love such books which make sense once I am done with it. This is Kubha’s story. She’s the hero. She’s all of twenty years. She has been put through the most inhuman ordeal. She is gang raped by the Islamist fundamentals, a group affiliated to the Islamic State. Still for a moment, she doesn’t lose her calm. She endures everything and even risks her own life, just for the sake of her country. She’s the epitome of womanhood, loving & emotional, courageous & intelligent, tender & sensitive, expressive & possessive. Kubha’s unusual relatio This is Kubha’s story. She’s the hero. She’s all of twenty years. She has been put through the most inhuman ordeal. She is gang raped by the Islamist fundamentals, a group affiliated to the Islamic State. Still for a moment, she doesn’t lose her calm. She endures everything and even risks her own life, just for the sake of her country. She’s the epitome of womanhood, loving & emotional, courageous & intelligent, tender & sensitive, expressive & possessive. Kubha’s unusual relationship with Parush, almost a generation elder than her, makes her even more lovable to the reader. And the way such a relationship has been handled is again one more feather in the cap of the author. The Aryabhata Clan is a unique book; truly unique. Reading it filled me with genuine surprise and pleasure at the growth of Indian Writing, albeit in an alien tongue English. The scope, breadth and depth of the book is quite frankly stunning – and it deserves a read for this reason alone, its weaknesses notwithstanding. The author deserves credit and a standing ovation for imagination, bringing diverse thought-streams, ideas and domains into one connected story with immaculate detailing. Read det The Aryabhata Clan is a unique book; truly unique. Reading it filled me with genuine surprise and pleasure at the growth of Indian Writing, albeit in an alien tongue English. The scope, breadth and depth of the book is quite frankly stunning – and it deserves a read for this reason alone, its weaknesses notwithstanding. The author deserves credit and a standing ovation for imagination, bringing diverse thought-streams, ideas and domains into one connected story with immaculate detailing. If you had asked me if I would be interested in knowing how exactly Sanskrit evolve into Hindi, Bengali and other Indian languages, I would have surely give my answer with a big “NO”. But when I completed the book, I learned a lot about the creation of the modern Indian languages. I don’t think I would have ever read any history book to know anything about it. That’s the best part of The Aryabhata Clan – it teaches you a lot of history, but you don’t feel that you’re attending history lectures. It's an unexpected novel. You sort of get a hang of it slowly, as the plot proceeds. You're hooked. It’s interesting to see how the novel deals with many aspects of the history of our own country. I enjoyed reading and would recommend it to all. Though there are many characters, and at the beginning you may tend to get confused, but with a little time and effort you do get into the skin of each characters. Even smaller characters have definite roles. I feel few characters could have been curtaile It's an unexpected novel. You sort of get a hang of it slowly, as the plot proceeds. You're hooked. It’s interesting to see how the novel deals with many aspects of the history of our own country. I enjoyed reading and would recommend it to all. There’s no doubt that certain ways of interpreting Islam and the Quran are, by construction, the root causes of lot of intolerance in the world. But the secularist and the leftist brigade somehow always try to dodge this aspect of Islam. They bit around the bush whenever the topic of Islamic intolerance pops up and what they do in turn is very ridiculous. They try to paint all other religions with a rude brush of intolerance, as though, saying someone is bad too absolves me of my being bad. Rot creeps into every religion over the years. Irreligious things often become more important. The most logical solution to this is to have a system where some people (you may call them prophets) should be allowed to cleanse the religion of its rot, from time to time. India has always believed in such a system which has been sort of formalized through the famous verses – yada yada hi dharmasya glanir bhavati bharatah… Buddha, Mahavira, Nanak, Chaitanya and most recently perhaps Swami Vivekananda and Ramakrishna have attempted, over the past two millennia, to cleanse various aspects of the prevailing religious practices and beliefs of the times. This book presents a brutally neutral narrative of the good and bad elements of religions with as much authentic facts and figures as possible, without sounding preachy and making the book seem like a documentary. I’ve been to Agra so many times, but I discovered a totally new Agra while reading this book. I never knew of so many things about the city which is known mainly for the Taj Mahal. There is history in every nook and corner of the old city and this book takes you through an entertaining and interesting conducted tour of the city in place and time – you virtually travel from the time of Babur till the present day. One very interesting aspect of the book is that it portrays Pakistan in a totally different light. It uses ancient Indian history as the backdrop, but practically deals with a region which is now Pakistan. It's an irony that Rig Veda, the most precious book of the Hindus, came from Pakistan and not only that, the fact that there's still a living clan somewhere in the Hindukush who can claim to be the oldest Hindus, is really an interesting thing. History and real facts have been very well exploi One very interesting aspect of the book is that it portrays Pakistan in a totally different light. It uses ancient Indian history as the backdrop, but practically deals with a region which is now Pakistan. It's an irony that Rig Veda, the most precious book of the Hindus, came from Pakistan and not only that, the fact that there's still a living clan somewhere in the Hindukush who can claim to be the oldest Hindus, is really an interesting thing. History and real facts have been very well exploited to create the build-up of a thriller. I won't say that it's a masterpiece. It does have its flaws. It slows down a bit to describe the technicalities - it deals with many at a time. It's a very aggressive novel, not only because of the theme, but also the breadth of topics encompassed. The author somehow manages not to lose control over all the sub-plots and the intricate topics (I never knew there could be something called linguistic palaeontology) he deals with. I would still prefer he didn't introduce so many things in a single book. I just enjoyed reading the book. It’s so different from most books I’ve read. It’s not too fast. Rather it proceeds languidly, encompassing its vast premise, cutting across continents, ages, cultures and civilizations. It’s an enriching experience reading about so diverse topics ranging from linguistics, archaeology, history and philosophy to music and mathematics. The characters are so live and realistic. The mystery unfolds gradually and before you realize you’re already into it. I don’t read fiction much. But still the moment I started reading the book I got hooked to it. It’s intriguing how the intense things have been handled so simplistically. While reading I never felt that I was reading stuff about linguistics, ancient Indian history, philosophy. It’s amazing how the author has touched base on so many things and still kept the plot interesting and appealing to anyone.